Introducing another exciting new botanical extract delivering the world break through of natural, stable and active bio-available Vitamin C! NATIVE EXTRACTS' innovation in CELLULAR EXTRACTION recently announced this world breakthrough in it's water soluble cellular extract of Kakadu Plum and now there are is another source – the uniquely Australian Desert Lime. 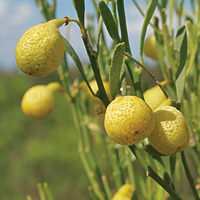 Employing Biomimicry to create the first "True to Nature"/full compound profile of the Australian Desert Lime, making it the first multifunctional botanical extract of this species, delivering one of the most powerful range of natural compounds harnessed in its tiny juice pearls seen this decade. With 9 phyto-active compounds, this extract will have a major impact in the extracts industry offering something exciting for hydration, de-pigmentation, collagen synthesis, whitening and brightening, wrinkle reduction and anti-aging all in one source. Access new levels of potency achieved from adaptation mechanisms developed over millions of years from surviving harsh bushland of semi-arid regions within the centre of Australia, and use it to power the next generation of advanced natural cosmetics, nutritional supplements and pharmaceuticals. 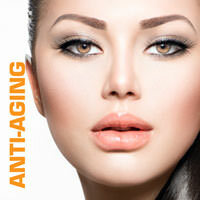 NE Desert Lime Cellular Extract for Anti-aging. Ascorbic Acid, Phenolic Acid : Ferulic Acid, Corumarin Derivative, ß-Carboline Alkaloid, Flavonone Faqlvone Glycosides, Flavonone Glycoside, Coumarin Derivative, Lignan, Coumarin Derivative, Chromene/Psoralen Derivative, Benzopyranone Derivative : Byangelicin and Coumarin Derivative : Methoxy Auraptene are peaks independently identified and verified by Plant Sciences Analytical Services, Southern Cross University New South Wales, Australia.